Welcome to my photo archives, some of these galleries are secure. Please click here to inquire about access, stating your name/email as well as the name of our relative or friend guiding you to this site. In addition to creating new galleries you may have been notified of, images are regularly added to existing galleries so check back for updates. This is a first week production 440 having the ignition type stamp in line with the motor number on the boss and the frame VIN struck on the top of the left hand slipper rather than the lower shock bracket. This machine was known in the North East by Robin Markey and Elmer Lower as the "candy store Four" because it resided in a candy store Noah's Ark built into the side of a mount in rural Pennsylvania where it was on display with the owner's Stanley Steamer. Upon his death, his widow had Robin and Elmer fluff it up a bit which, being mostly original paint, thankfully, the only major aesthetic change was relacing the rusted rims with a pair of Honda 18 inch rims, having had the original spokes recad'd. They both lost contact with the machine which was apparently sold to the Harrah Museum where it resided for years till sold to a gentleman in Michigan. I bought it as a runner but, as with every machine purchased, completely disassembled the motor to make sure nothing would be damaged if it was ridden. It still had original Indian logo'd gaskets and, in an effort to improve these machine's dismal hot weather performance, it had only .003 over British Hepolux aircraft pistons in it and everything was in perfect condition, even the fragile nickel plate still intact on the cylinders. Thus, its 28K mileage on the odometer was believable. I've ridden it for 24 years as of 2018 and gradually refitted patenaed original pieces where needed and when found to the point now where it is nearly completely correct component wise while leaving the original features (dealer added chrome) in place. Possibly because it and the 441 made me so poor I could ill afford to do anything but hang out in my shop and tinker with these two machines, I disassembled/reassembled this motor in varying stages 4 times as improvements became available or I could afford them. 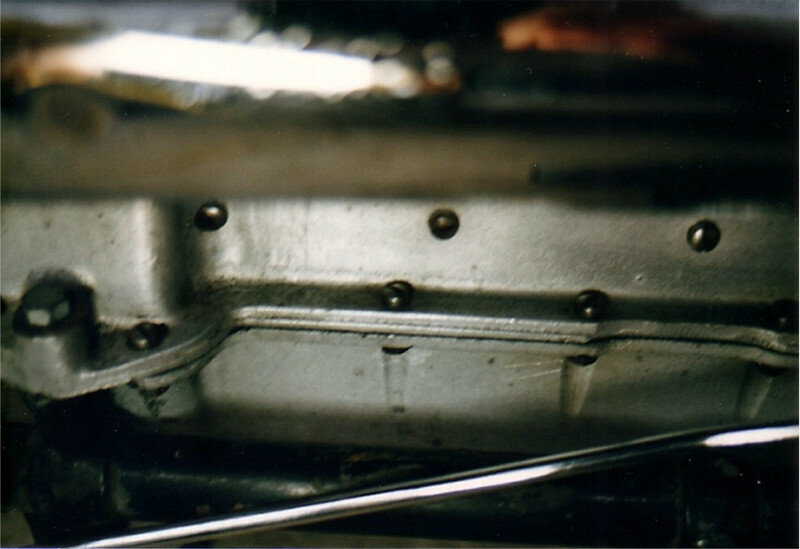 The cases on this machine are simply in phenomonal condition and one of the anchor points to making this purchase, not a wrench or screw driver mark, no corrosion or curb surfing on the sump and the machined finishing surfaces still shiny. I do web/content development for Pat Williams Racing as well as in-car race/dyno videos for which two channels have been created on YouTube in addition to his website. You can view these as well as sites for another passion, antique motorcycles, below.